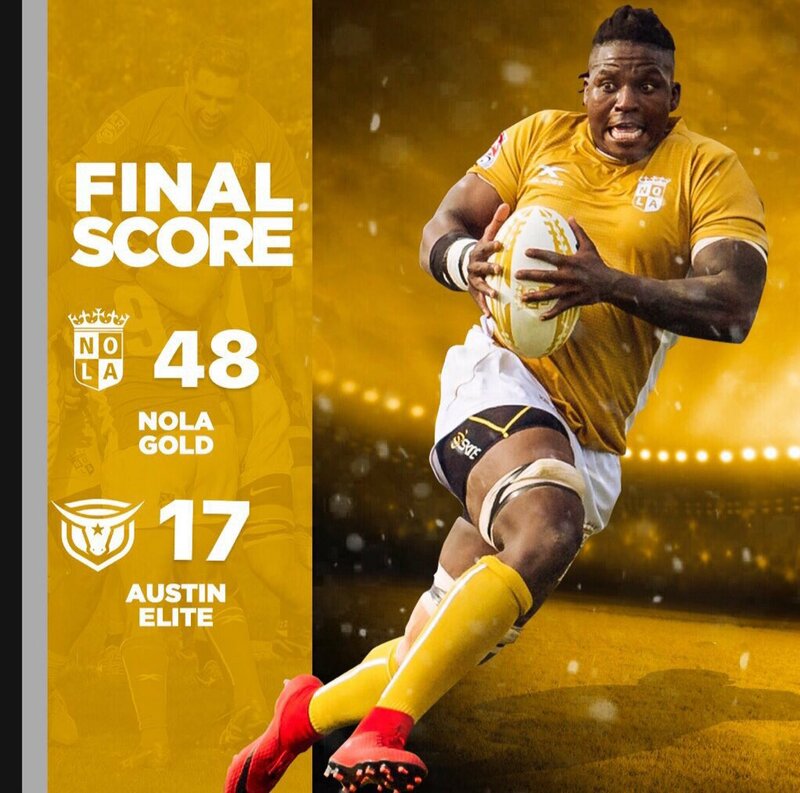 The NOLA Gold have picked up their first victory over a fellow Major League Rugby side with a 48-17 win over the Austin Elite. NOLA have played more games than the Elite and that showed through. However, it has to be a little concerning for Austin fans so far that they haven't been able to see a lot of success against San Diego or NOLA. At halftime it was 31-12 in favor of NOLA. NOLA ran out to a 28-0 lead before Austin finally were able to get on the board with a try. But by that point the came was well in hand for NOLA. Before the half the Gold would get another penalty while Austin got a converted and unconverted try. In the second half NOLA would stretch their lead to 48-12 before Austin scored a final try.